Passported co-founder, Henley, just got back from a trip to Costa Rica with her young son. They loved the rugged terrain, wild beaches, and surfing culture and learned a lot along the way. Read on for Henley's take on the what to know before you go to Costa Rica. Most international visitors will arrive via the Liberia airport on the coast or the San Jose airport inland. For those who want a full picture of Costa Rica, a multi-stop trip is the way to go, linking coffee country, time in the jungle and surfing the famous breaks. But keep in mind that this will likely mean taking some small planes (see below). This is neither as terrifying or as expensive as you might think. Families can charter small Cessnas for less than four coach class tickets would cost them at home, and that allows more time enjoying the destination and less time getting between places. Hotels and local tour operators can help with these arrangements as well as the excursions; ask us about our favorite guides. The fastest way to prove your gringo status is by trying to exchange dollars for pesos. The Costa Rican currency is the Colón, and one US dollar will get you about 535 of them. It’s worth having some local cash on hand, but I found that US dollars work in many places as well (and some businesses preferred them). Stash both in your wallet. Costa Rica is known for a lot of things; good driving isn’t one of them. The country has few highways, and navigating relatively short distances can take a long time due to tiny roads and frequent unpaved territory. In the rainy season, some of these roads will have streams to cross. In other words, if you’re driving yourself, get a 4x4 and make it one of a decent size. I used a GPS with its own wifi signal so even when I was out of cell range, I could make a call via Skype if needed. If you’re not a particularly intrepid driver, hire a service and let them do the navigating, or take a small plane to skip the drive entirely. PS: bring barf bags if anyone tends towards motion sickness. Speaking of rental cars, I spent a miserable 1.5 hours waiting in the car rental line when I arrived, and during that time, I heard more arguments and angry customers than I’ve seen almost anywhere. No matter what $10 per day deal you see online, that rate is unlikely to match the real total when you check in. 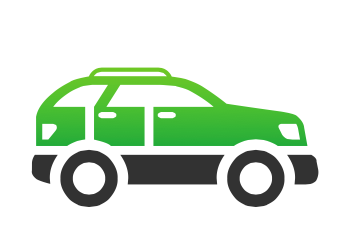 Book directly with the car rental agency to get a more accurate estimate of your final costs. And read the fine print. Turns out that the local law requires that the driver has a written statement from their credit card proving that the card company’s insurance includes the card holder’s rental car. Without that (and who has that? ), you’ll be forced to pay for the full package insurance. My total price, despite going through the car company direct, was twice what I had in my confirmation. Again, let someone else do the driving and just rent within your destination. Sun seekers who expect white Caribbean beaches won’t find something similar in Guanacaste. These beaches range from lighter shades of brown to black volcanic sand, all of which can produce some really interesting conversations with kids about the area’s geological history, but none of which will satisfy someone who wanted Anguilla. Also, remember that this is the Pacific, so currents can be strong and waves high—there’s a reason surfers flock here. So keep swimming to sheltered bays and keep a close watch on early swimmers in the surf. Clubbers, look elsewhere. In all three places I visited, lights were out before 11 pm, but 7 am was a completely reasonable time to be hitting the beach. There’s something so refreshing about living by the sun, sleeping when it sets and getting an early start on the day, but for those who want to party all night, it might not be a fit. For families, however, it’s a perfect fit. The kids are tuckered from all the outdoor play and exercise (my six-year-old begged to go to bed at 6:30 pm), so mom and dad can enjoy a solo cocktail but crash out at a reasonable hour. Everyone is refreshed and ready to set off on a new day of surfing and kayaking and monkey spotting when the sun rises the next day.